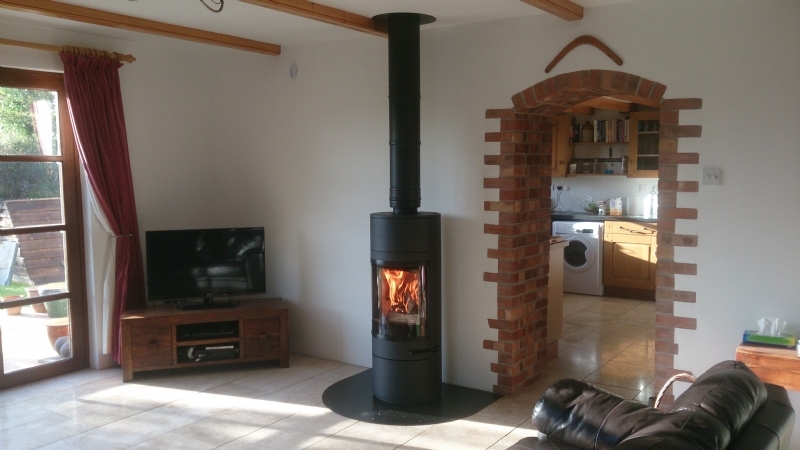 Scan 83 wood burner in Cornwall wood burning stove installation from Kernow Fires. 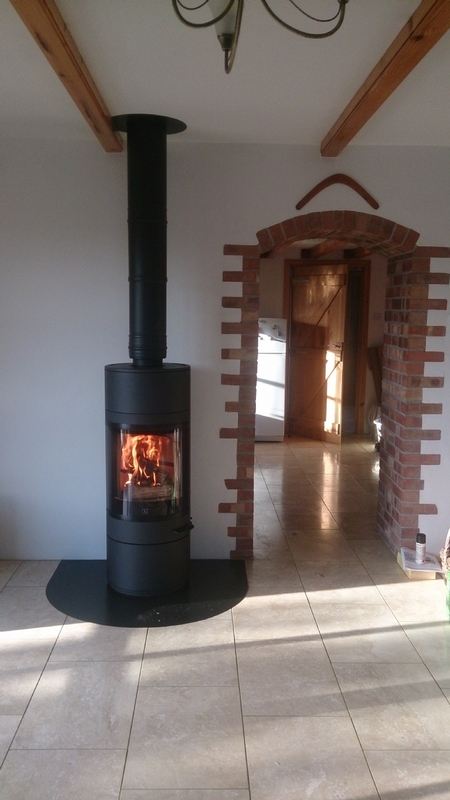 Twin walled insulated flue was used to create a chimney and a slim honed slate D shaped hearth was placed on the already tiled floor. 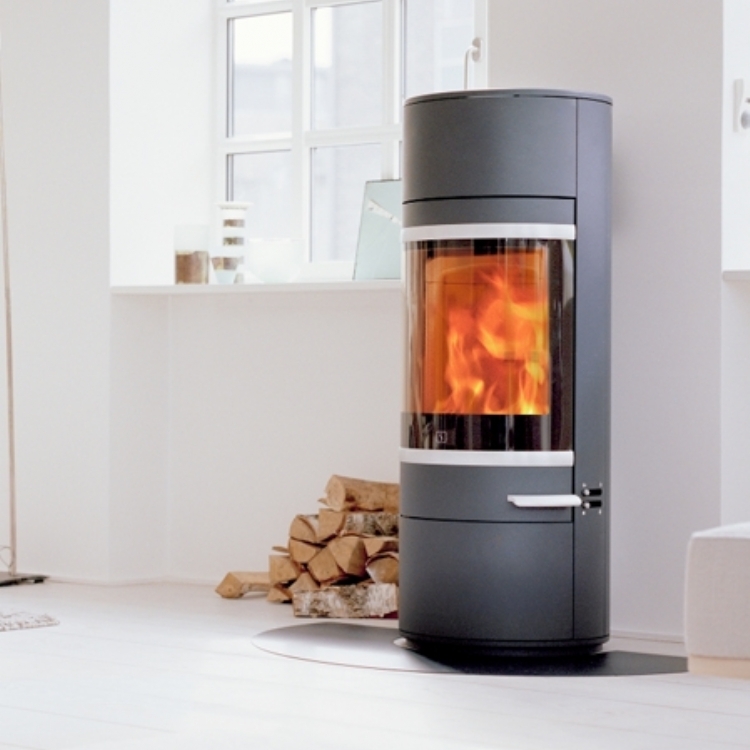 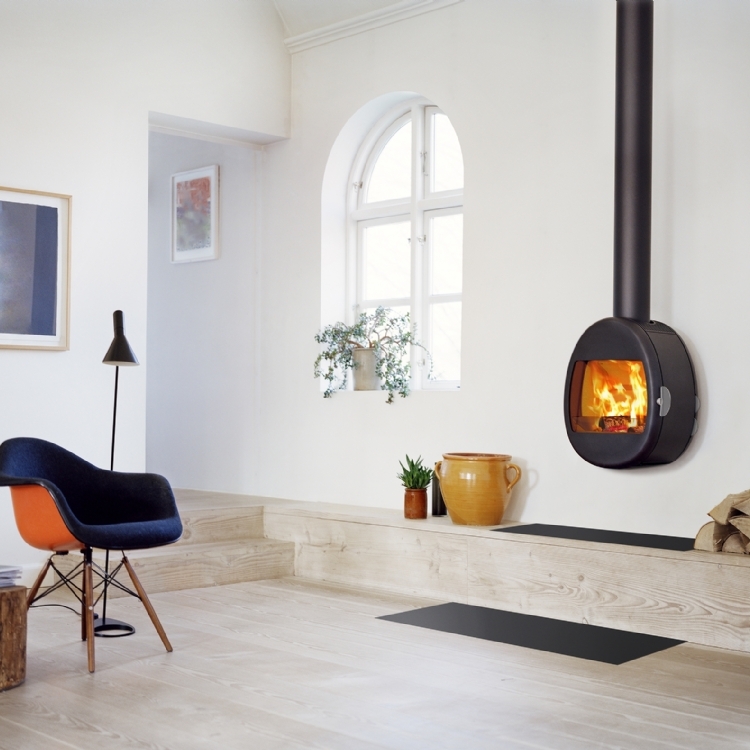 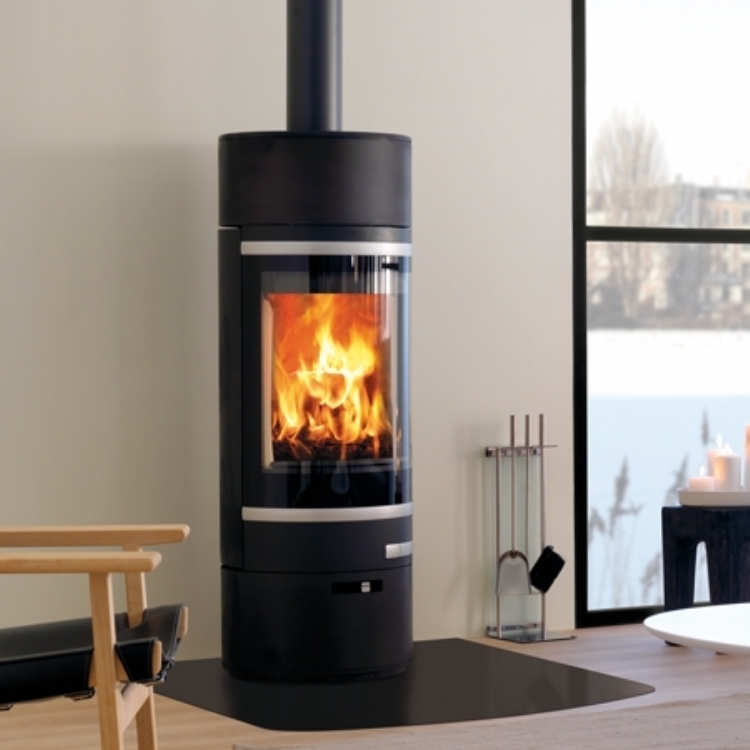 The Scan 83 is prefect for such a large room as it's wide curved glass door give a good view of the fire from all angles.